The wire included in the Starter Kit would be enough to complete a standard 8ft by 4ft railway. 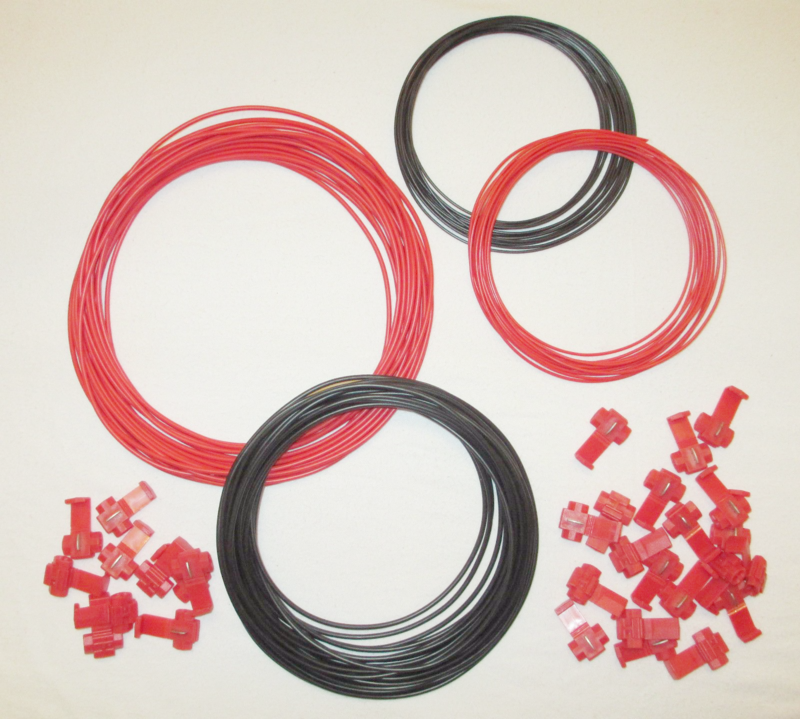 Should you require more wire for a larger layout, you may wish to take a look at our Extra Large Starter Kit or please contact us and we can provide an estimate for the amount of wire required. Additional Wire and Connectors are available. Please see our other products. 32/0.2 is for medium to large DCC layouts, where multiple throttles are to be used and/or any form of power booster is incorporated in the layout.